I am getting massive lag in my client when going through my collection or opening packs or picking a deck when trying to play (pretty much any time I'm not playing the game). When I actually connect to a game, the lag goes away and everything works normal. This ends up being super inconvenient when trying to build new decks though as it takes me almost 10 minutes to scroll through pages with the amount of lag I'm getting. We're seeing some really scattered reports of this happening via other contact channels as well. Could you guys please post a DxDiag so that we can start looking for common factors? Please also direct anyone else you know who is experiencing this to this thread so that they can provide their files as well. Hey KixieBoo, any luck by temporarily uninstalling the Antivirus and security application on the system? Based on reports so far, we have seen this help when adding exceptions does not resolve the issue. 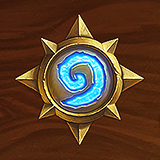 It can also help to delete the Hearthstone folder in the %localappdata% location. To help with gathering data, what's the security application that everyone is using that's experiencing the performance issues in-game?